Summer is coming to an end and I’ll soon be back in Durham. And I can’t remember the last time I made a post on this site. The truth is, my failure to adequately maintain this site is just another example of everything I do- I just don’t have the self-motivation to do anything which requires work unless forced. Maybe the important thing is that I don’t give up, who knows, so this new post is evidence to YOU that I’m still here. If I do find some motivation to do something in the next few weeks, it probably won’t be for this site, since there are a few other things I’ve been wanting to do for quite a while. Anyhow, I just recently did resits of my first year university exams, three of them to be precise (which is half of all the ones I did), and they went, well, as best as they possibly could have went I suppose, given my last of adequate preparation as always. I feel a lot better to have them over, and yet still feel somewhat….stressed. I don’t really know why. Maybe it’s because I’m not doing anything. Maybe this stress is here to tell me to do something productive with my summer holiday. I’m reading a few books- ever since I got an e-reader (my first was a Sony, and I now have a Kindle Paperwhite, which I highly recommend, by the way, even though the backlight does run down the battery)- I’ve read multiple books ‘simultaneously’. Which is ironic, since I probably read at a slower rate than the majority of the reading population. 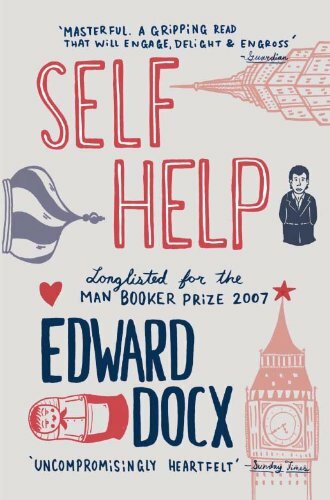 Currently I’m reading, among others, a book called ‘Self Help’ by a British author called Edward Docx, and I really like it. It is significant to me in the fact that it is one of the first modern novels not written for teenagers, that I have ever read, and more importantly, enjoy immensely. Because I think pictures are beneficial to the online experience, here’s the cover of said book. This is the wonderful view from my home. As you can see, the snow is very heavy. As you may not be able to see, we have been stranded here and without mains power for 55 hours and counting, and I am not happy. That is all. It’s very good, I would recommend it, as the articles are well written and don’t seem to follow the normal stories found in most news sources. For example, the lead story was arguing that the United States is not in decline, and that this will become apparent in Obama’s second term. I can’t be bothered to go into any more detail, but I just thought that I should have updated any readers on my progress. In fact, I’ve decided to take out a subscription with the magazine. For anyone else thinking of doing so, I recommend using the promotional code EB12B to get 12 magazines for £29.99 (which works out at £2.50/magazine, RRP £4.50).